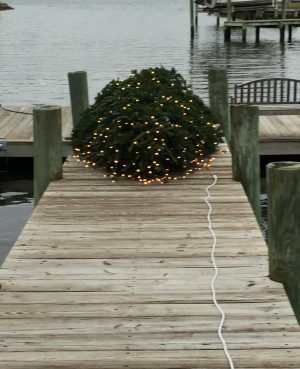 If you’ve been around this blog for more than a year, you’ve likely seen pix of our Dock Tree. 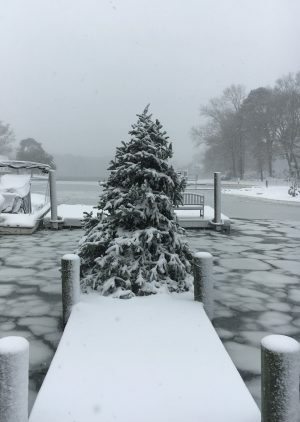 Which is, on January 19, still out on the dock. 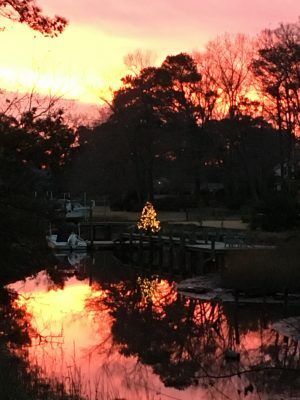 Boats and Christmas both mean a lot to my man, and I guess, somewhere along the way, Robbie figured it made sense to combine these two loves. All he needed, he said, was six new boxes of lights. And maybe eight more extension cords. 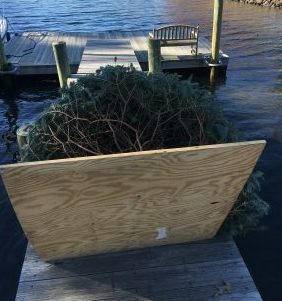 To me, the Dock Tree seemed silly, at first. But now that we are in the Empty Nest years, it fills our lives with meaning. And purpose. 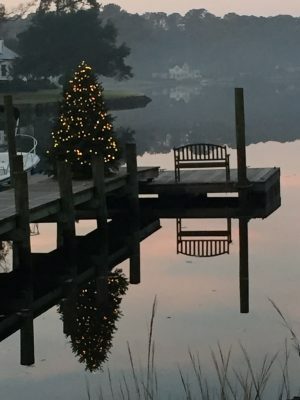 We look at the Dock Tree first thing, with our coffee. We look at it late at night, before bed. We take pictures–scads of pictures–eager to capture its beauty in different lighting and weather conditions. 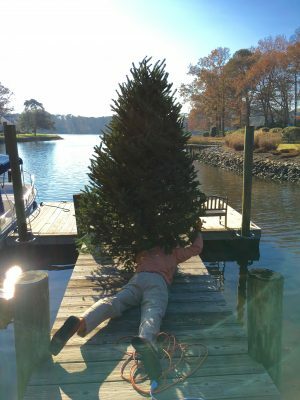 And, as with children, we learned that Dock Trees can be tricky. They do not, for example, fare too well in high winds. This year, Robbie tried a new plan. He mounted the tree on a thick piece of plywood, one that has languished in our garage for the past 15 years (waiting, some might say, for such a time as this). Surely, the heavy foundation would hold. Those are some good promises, and ones I’d like to see fulfilled in my life. 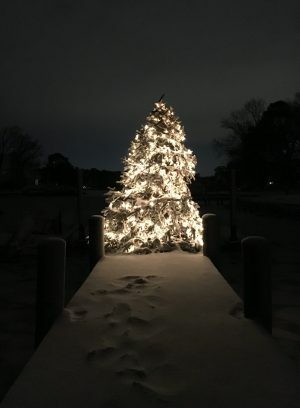 And–taking a cue from the Dock Tree–I have to think that a key term is “planted.” Because if all we do is screw ourselves into some plywood, without having any roots to grow down deep, it doesn’t matter how close to the water we get. God’s word will not nourish us. We won’t bear any fruit. And rather than prospering when the storms of life hit, we’ll be apt to fall over. May we take delight in your word, meditating on it day and night as we go through our lives. Plant us by streams of water, with roots that go deep. Let us yield fruit in season (and be patient in the winters of our lives, when the buds cannot yet be seen). What do College Kids Need? Good Friends!